After my race yesterday I was starving all day!! Running really takes it out of you. As soon as we got home we made lunch, even before I had showered! 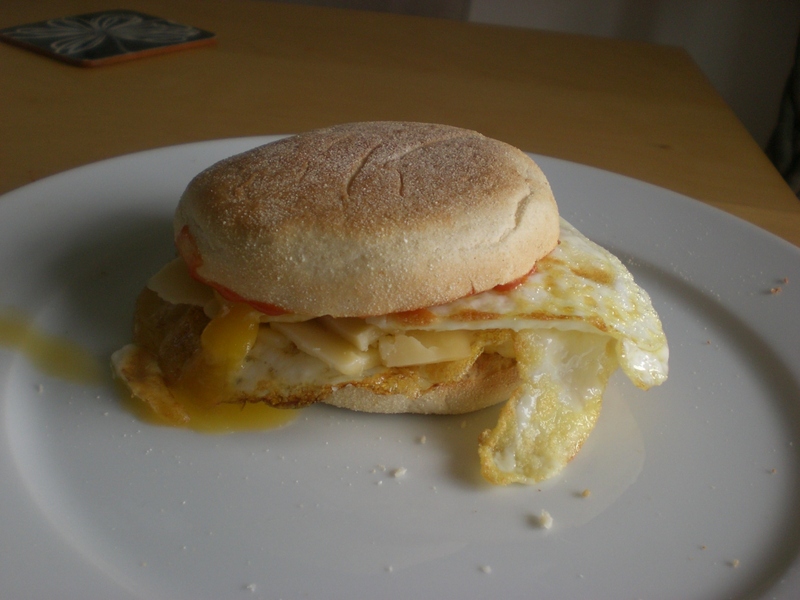 I made my new favourite lunch – two fried eggs with cheese on an English muffin. OMG it was delicious! Tim had two of them (without the cheese) and declared that they were homemade versions of the Egg MacMuffin you can get from MacDonalds! I bet my versions are slightly more healthier for you…I hope so anyway! I also had a cup of coffee and a little bit of chocolate after that. It was much needed. I thought that it would hold me over until dinner but I was so wrong. I was soooooo hungry by about 5pm! Even though I had a busy day, I still made dinner – what a good girlfriend I am! 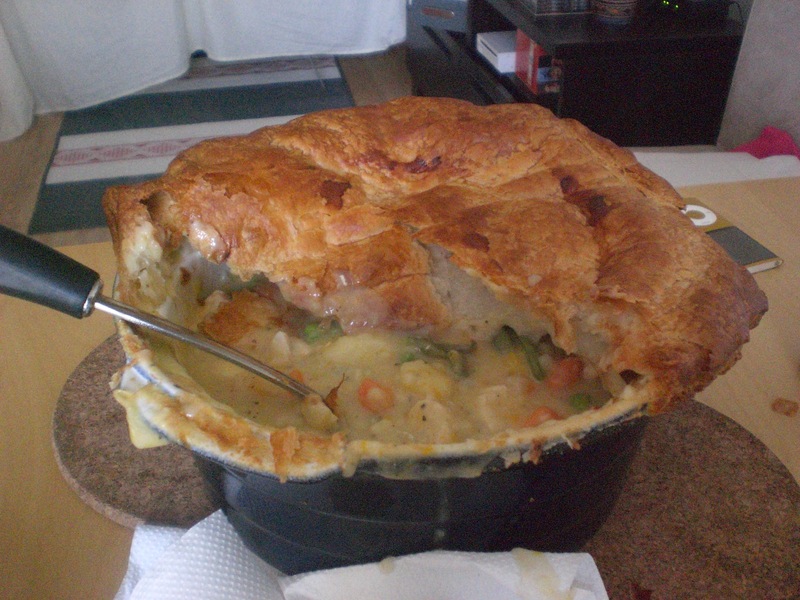 I am so glad that I chose to make Chicken Vegetable Pot Pie as it was the perfect thing to eat and quench my hunger. This meal takes about an hour and a half to make so is the perfect thing to make at a weekend. The prepping of the vegetables takes the longest but once that’s done you just stick the pie in the oven and leave it to cook. The recipe below serves 4 – 6 people but as usual I cooked the full recipe! 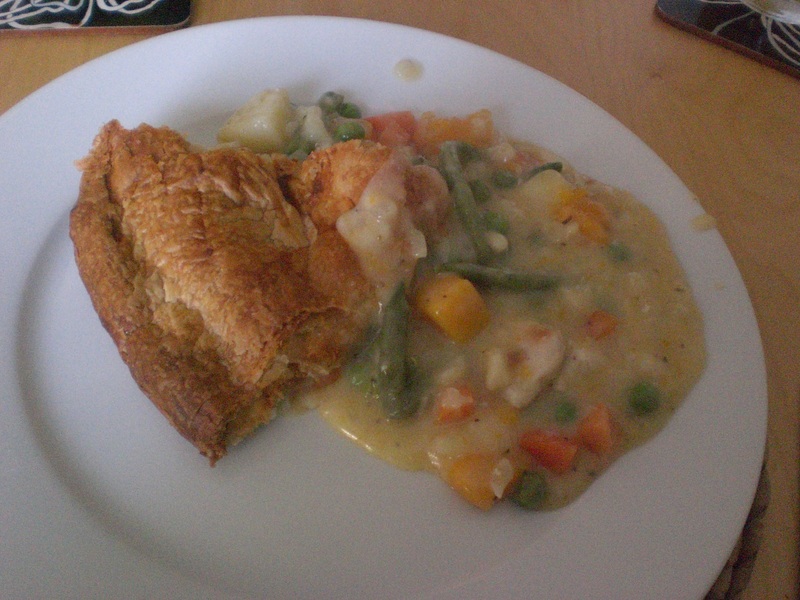 Tim had two MASSIVE portions and I had two medium sized portions – we both had extra pastry! I definitely loved this meal, it was so worth all the effort! Place the potatoes and butternut squash in a pot of water and boil for 15 – 20 mins until soft. Preheat the oven to 180C/Gas Mark 4. Place the onions, butter and chicken in a large pot and cook for 15 mins / until the chicken is cooked through. 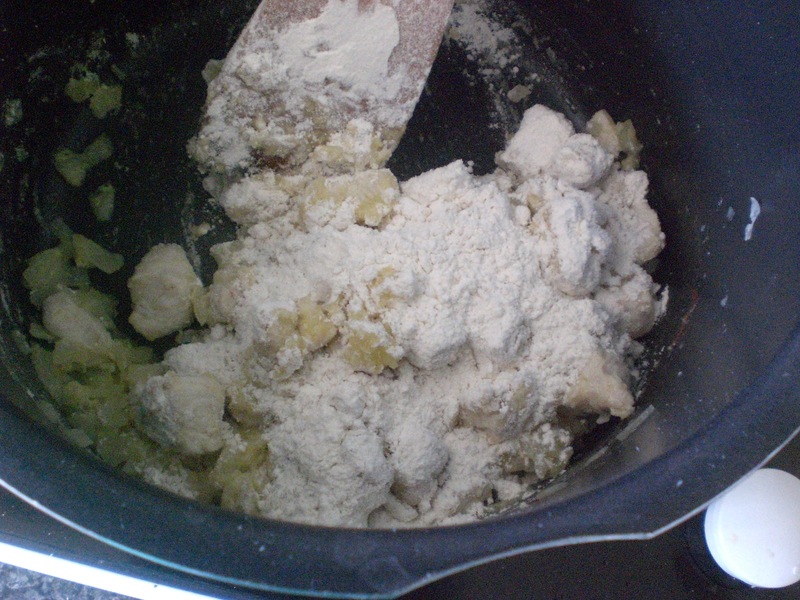 Add in the flour, turn the heat down and cook for 3 mins. Add in the milk, chicken stock, basil and oregano and turn the heat up. Allow to boil and thicken. 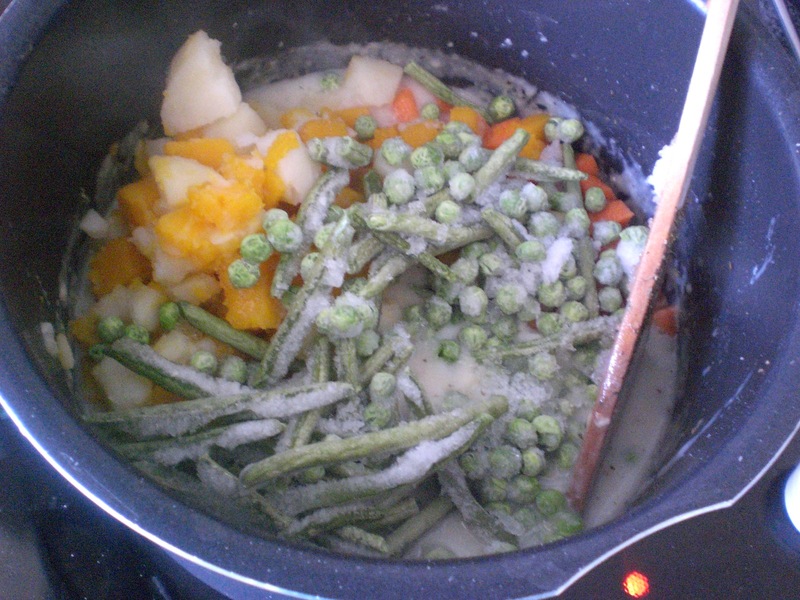 Add in enough green beans and peas that you want, along with the carrots and boiled potatoes and butternut squash. Stir together and add more water if too thick. 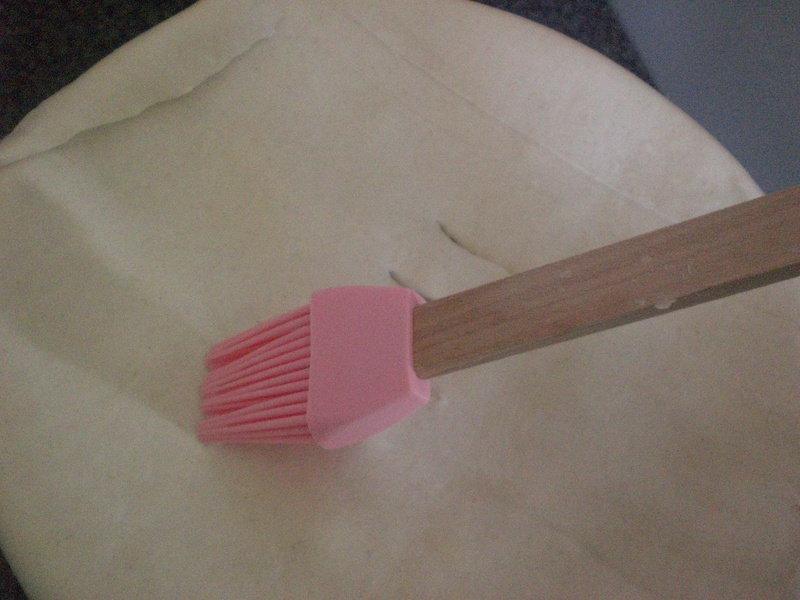 Place a sheet of puff pastry on the bottom of an ovenproof dish and prick with a knife / fork. Pour the chicken vegetable filling into the dish, distributing it evenly. Place the second sheet of puff pastry over the filling, crimping it at the sides to seal. Brush all over with some milk. Cook in the oven for 40 – 45 mins. Enjoy!